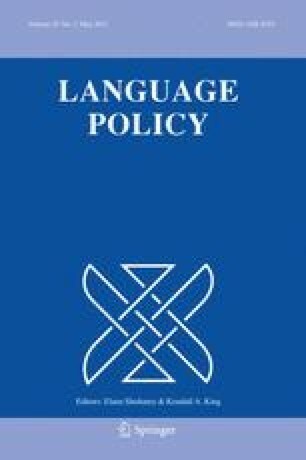 This paper explores the interplay between the politics and policies of multilingualism by looking at the role of political macro-strategies in shaping language and multilingualism policies within the European Union. The paper focuses on the relationship between the European Union’s 2000–2010 Lisbon Strategy on the European Knowledge-Based Economy and the content and scope of EU language and multilingualism policies of the same period. We argue that the economic orientation of the EU language and multilingualism policies of the last decade was mainly determined by the fact that these were subsumed into the overall strategic aims and policy-priorities of Lisbon. Thus, the impact and recontextualisation of typical arguments (e.g. on the skills or competitiveness in/of the EU economy) also dominated EU language policies on multilingualism. Simultaneously, other salient EU-political discourses of the early 2000s (e.g. about the deficiencies of EU democracy, about ‘European values’, or about European social cohesion) were often silenced, or toned down, in EU language and multilingualism policy.